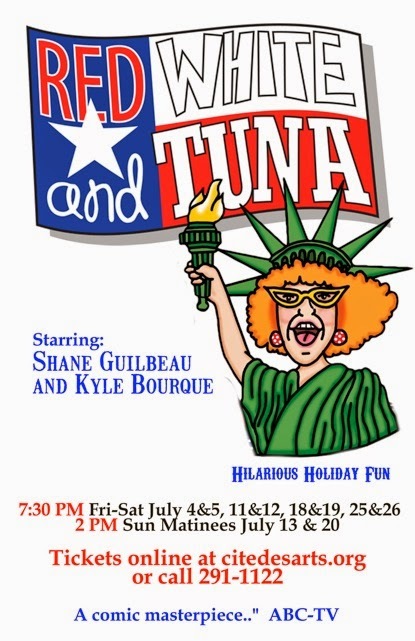 Shane Guilbeau and Kyle Bourque are bringing the much anticipated third installment in the Tuna trilogy to Cite Des Arts this summer. “Red, White and Tuna” takes the audience through another satirical ride into the hearts and minds of the polyester-clad citizens of Texas' third smallest town. Along with Tuna's perennial favorites, some new Tuna denizens burst into the 4th of July Tuna High School Class Reunion. This sets the stage for a show full of fireworks and fun from the land where the Lion's Club is too liberal and Patsy Cline never dies. 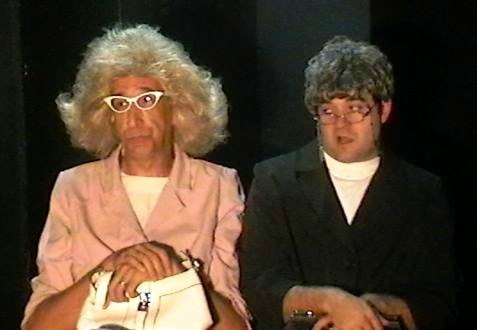 It's been several years since we left Bertha and Arles dancing at the end of A Tuna Christmas...Did the romance blossom? Has Didi Snavley received any "cosmic" communications from R.R. 's UFO? Did Stanley make his fortune in the Albuquerque taxidermy business? These and other burning questions will be asked and answered in the side-splitting spoof of life in rural America.